Enjoy a freshwater fishing adventure on Back Bay, located in southern Virginia Beach, VA. Just west of Sandbridge beach and 20 minutes south of the Oceanfront hotels, the Back Bay watershed covers the southeastern quarter of the City of Virginia Beach, comprising approximately 67,000 acres. 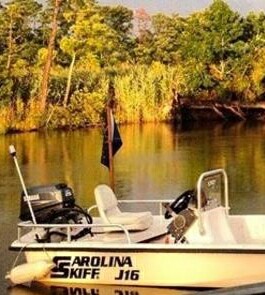 We catch a variety of fish including bluegill, catfish, white perch, largemouth bass and crappie. For the nature lovers, we are happy to take you on a tour of Back Bay. This ecosystem is one of the most diverse and extensive in southeastern Virginia. Depending on the season, you might expect to see a large variety of waterfowl, turtles, bald eagles and herons. 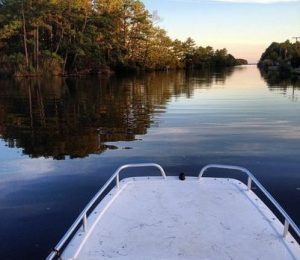 Back Bay consists of sunken Cypress trees, mossy oak, and a variety of sea grasses and evergreens.